What's new in hale studio 3.4? The AppSchema plugin developed at GeoSolutions now comes with support for GeoServer's isolated workspaces feature. Thanks to GeoSolutions, Stefano Costa, and Nuno Oliveira for this contribution! XtraServer is a product of interactive instruments. It is a suite of implementations of various OGC service specifications, e.g. Web Feature Service (WFS) and Web Map Service (WMS). XtraServer services can base on any application schema according to the Geography Markup Language (GML). For this, a mapping from the GML application schema to the table structure of the underlying database is to be provided in the configuration of the service. The mapping language of XtraServer is very flexible and can virtually map all GML application schemas to heavily deviating database schemas. For this reason, mappings can be quite complex. Thanks to interactive instruments, Jon Herrmann, and Andreas Zahnen for this contribution! This release adds the new merge command to hale CLI that makes it possible to migrate a source project based on another project providing a schema mapping to the project's source. In hale studio you can view tasks and messages generated by the merge with the new Tasks view. Thanks to the Implementierungspartnerschaft AAA-Dienste of the AdV for funding this work and to interactive instruments GmbH for the great collaboration in implementing it. 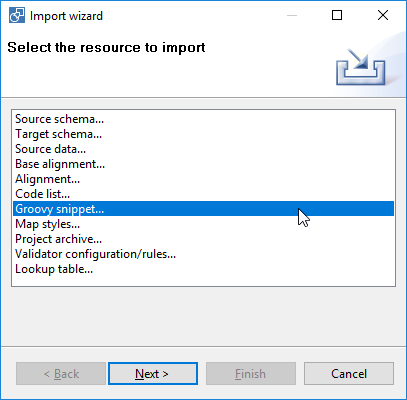 Using Groovy snippets allows you to keep extensive logic in external files and to easily reuse them across different transformation scripts. 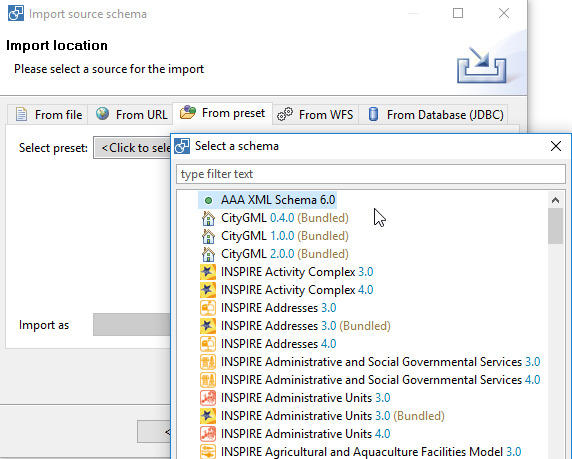 The list of presets for source and target schemas has been extended: Its newest addition is the AAA XML Schema 6.0.